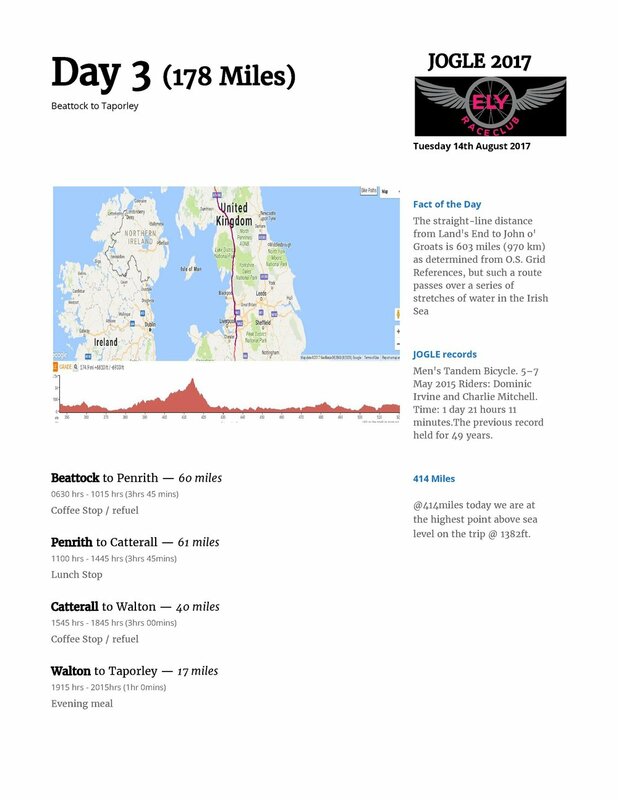 The time is nearly here when Kyle Dovey, Darren Morgan, Carl Rose, Dean Jones, Dan Barnett, Richard Dowds from the ELY Race Club will travel to John O'Groats to start their epic challenge of cycling to Lands End in 5 days starting from Sunday 13th August. They will travel down and coming through Hereford on Day 4arriving around 1300 hrs, where they will have lunch before they start again to cycle a further 98 miles to reach Bridgewater. There is still plenty of time to support them through their justgiving page www.justgiving.com/fundraising/jogle17.